These scars require a more rigorous treatment for a fast & effective result. This procedure is a well-established treatment that is carried out in Dermatologist’s clinics to restore smoother skin. Using a 0.5 mm Dermarollex® roll the skin every night with sixteen passes over the affected skin. This should be done on clean dry skin. After the dermarolling, Massage Scar Repairex® Ultra over the treated skin. 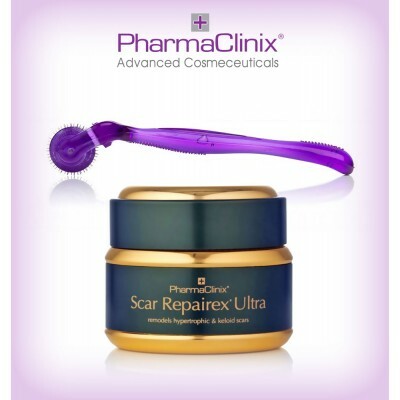 Massage Scar Repairex® Ultra again in the morning. Repeat the above procedure every day until the scar has shrunk. Our special Home treatment contains Dermarollex® 0.5mm, Scar Repairex® Ultra cream (30gm jar).